Minneapolis, MN—August 26, 2014—Banner Engineering introduces a stainless steel version of its WLC60 heavy-duty LED lights. Designed for use in extremely harsh conditions, the WLC60SS protects against caustic solutions, acids and detergents often found in food and beverage processing, pharmaceutical, chemical and marine applications. For enhanced chemical resistance, the WLC60SS is available with either a durable polycarbonate window or tempered borosilicate glass (BSG) window. Its corrosion-resistant 316L housing allows the WLC60SS to withstand high-pressure washdown and high-temperature environments while remaining resistant to vibration and shock. Featuring a conservative mechanical design and state-of-the-art LED technology, Banner’s WLC60SS delivers bright illumination with advanced glare-reducing optics. 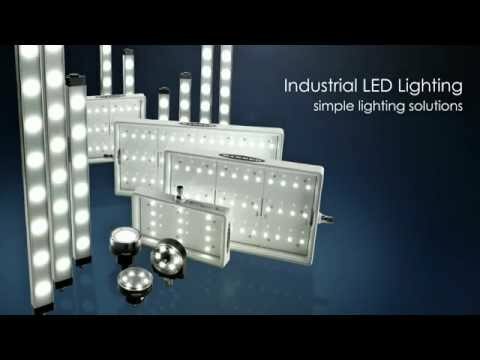 Additionally, this smart industrial lighting solution offers four energy-efficient, eco-mode dimming states to tailor the brightness and power consumption to the specific application.